Welcome to the Grand Lodge of Ancient Free and Accepted Masons of Wyoming! 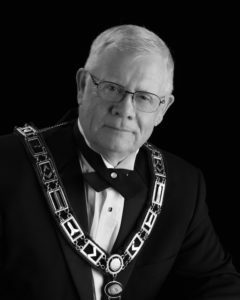 It is our hope that this website acts as a communication tool for Wyoming’s Masonic Community. Its goal is to provide a method of communication for our current members as well as information and knowledge to our future brothers. The Masonic Fraternity is the oldest Fraternity in the world. The Wyoming Masonic Family includes Freemasons as well as organizations for their ladies, couples, and youth. The primary tenets of our Fraternity are Brotherly Love, Relief and Truth. Freemasonry is always looking for men who wish to become better men, who are interested in self improvement and in giving back to their community. We welcome any inquiries concerning Freemasonry. Please call the Grand Lodge at (307) 330-6214 , or submit your inquiry to the Grand Secretary.